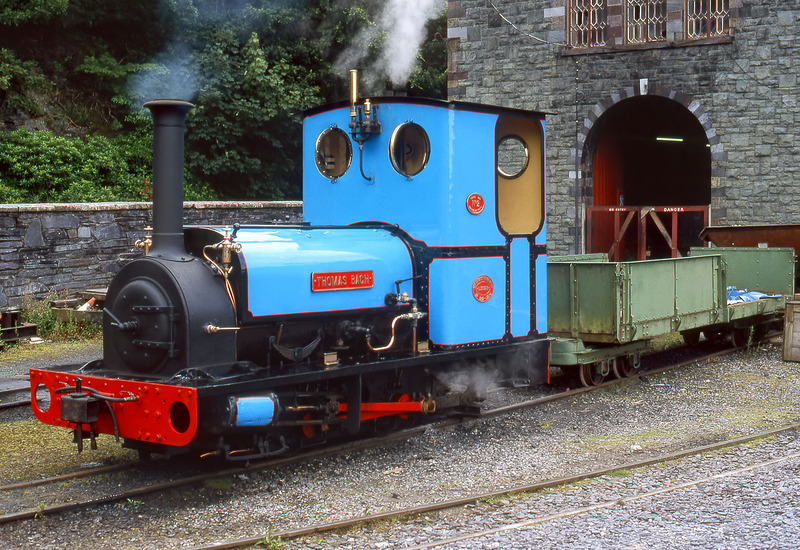 On 6 August 2002, Hunslet 0-4-0ST 2 Thomas Bach simmers gently in front of the 1870 built former quarry workshops at Gilfach Ddu station, on the Llanberis Lake Railway. This large range of buildings are now used to house the National Slate Museum. Thomas Bach was originally named Wild Aster when delivered to the Dinorwic Quarries in 1904.